While digital advertising and social media seem to have stepped into the spotlight, printing your marketing materials will always convey a certain level of sophistication and quality, and they should not be overlooked when marketing your business. At Nice Branding Agency, we submit jobs to print on a daily basis. These projects range from business cards and brochures to rack cards, flyers, posters, and product labels. Plus, so much more. These days, there are an abundance of results that can achieved by printing, and there are many factors to consider when beginning a print job. Consideration of paper and material selection, ink types, and whether to go with digital or press printing are all up for discussion. When projects cross our plate, we make these decisions based on the project at hand, carefully considering what will serve our clients best for their particular project. Before design begins, we take into account our clients’ goals for the piece, as well as their budget and timeline to determine how the end product will be produced. If you’re curious about the ins and outs of printing, here’s a little bit of info to tuck away. Press printing originated in the year 1440 with the invention of the print press. This method involves the transfer or offset of images from customized plates to rubber blankets before the image is rolled onto paper (or wood or PVC or vinyl or whatever you need to print on). For each color, a separate plate is created. Because of this extensive setup process and the amount of equipment used, press printing is generally more expensive and takes longer to complete. However, the sky’s the limit with press printing. There are a range of choices in paper size, paper color, material, formats, finishes (glossy, matte, etc. ), and styles. You can print on glass, metal, stone, marble, or wood. You can stylize with embossing, foil stamping, die cutting, and/or metallic inks. You can pick from a large variety of colors and shades. This includes those PMS colors we talked about here. This is a big win for press printing over digital printing, as digital printers are stuck with CMYK. Press check days are almost as fun as Fridays at Nice Branding Agency! These are the days we get to take a field trip to the printer and go behind the scenes. During press checks, the accuracy of color is confirmed, and one is able to preview how the ink has interacted on the chosen material. We basically make sure that what we created for you will turn out as intended once printed. In digital printing, the images are digitally (go figure) transferred to a receptive drum by scanning a light source using static charges and toner, or suspended toner particles. BRAIN BUSTER. Basically, it boils down to this. The process is much faster and cheaper due to minimal preparation, fewer steps, and less equipment when compared to press printing. With digital printing, you do have less customizing capabilities compared to press printing. You’re limited in paper sizes, colors, and materials. Your inks aren’t necessarily as accurate, and you can’t print metallic, foil, shimmer, etc. There’s no PMS matching option with digital printing. Digital is often cheaper than press for smaller runs, but the inks on digitally printed items aren’t as versatile and long lasting. Digital ink doesn’t necessarily stick to the medium as well for as long. However, there are times when press printing can be more cost efficient than digital printing. So, always do your homework. With digital printing, you are able to alter or change your design later in the printing process due to the fact that it is not printed to a plate. Making revisions during the press printing process can often rack up additional fees, because previous steps have to be reworked. NO BUENO. With digital printing, changes are easy and allowed. We’ve often been frustrated with digital printing because we can’t get a proof on the actual material we want to print on; therefore, we don’t consider the proofs that are provided to be accurate proofs. If exact color hues don’t matter, it’s usually ok. But there is about a one percent chance that you may need a reprint due to color tone inaccuracy. At Nice Branding Agency, we feel that the printing process used for your project simply depends on WHAT you are printing. If you want a unique job that is highly customized and perfect, and you don’t mind the extra time or possible expense, press printing is probably right for you. If you need a simple, or standard, reliable job done quickly, then the best path for you may be to print digitally. The world needs both options, of course, so there is no winning or losing here; they are just inherently different. Press printing has long appealed to larger-scale businesses due to its accuracy, detail, and tradition; however, it’s important to consider if that is really still necessary in this digital day and age. 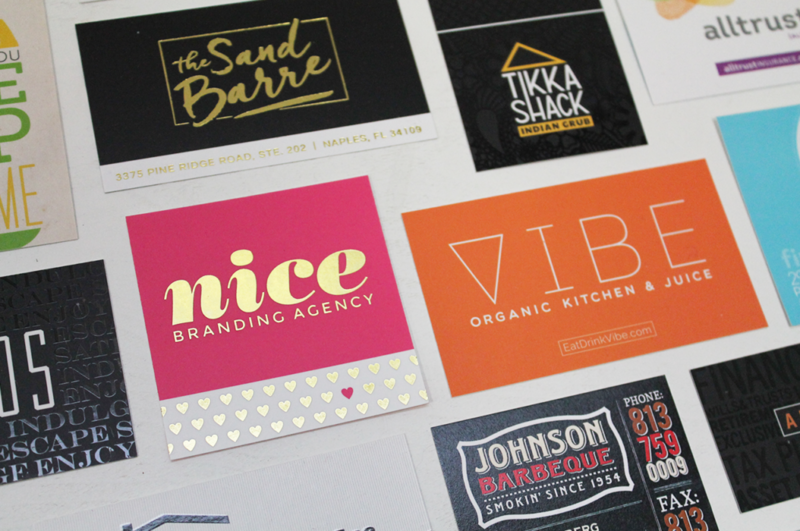 Does the hue of your business card have to exactly match the hue on your letterhead? Once again, we are talking exactly here, probably not even recognizable to the human eye. Consider this. Odds are the hue of your logo on your business card won’t necessarily match the hue of your logo on your website when shown from screen to screen. With that, is there a point in spending boatloads of money that could be better applied elsewhere? Sometimes yes. Sometimes no. We hope that this quick read gave you a bit of an insight into what gets us going here at Nice Branding. However, these tips are just the tip of the iceberg. There is so much more to perfecting your printed materials. We’ve printed hundreds of pieces on tons of mediums with all sorts of special inks. We’ve run into about every snag or speed bump along the way, and we would love to guide you through the process. Maybe you have a project in mind, but maybe you’re just starting out and need to establish your brand first. 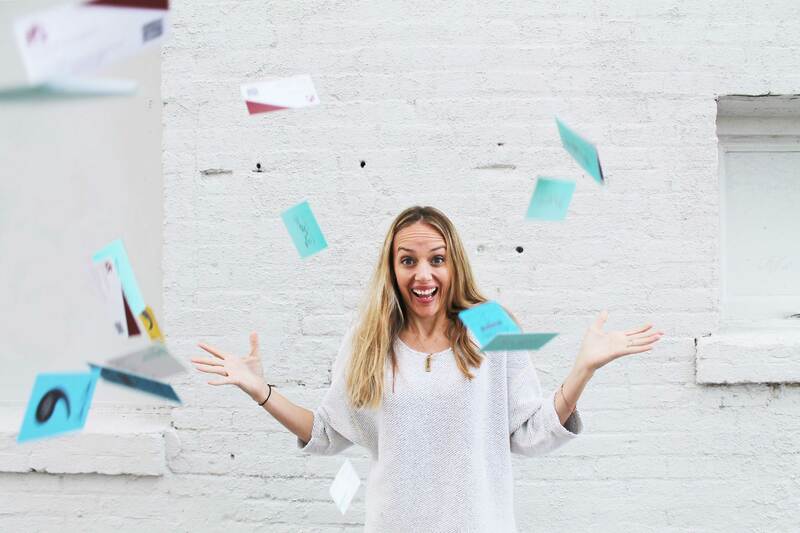 If you’re looking for assistance creating printed materials to represent your brand well, or you’d like to build a brand, craft a marketing strategy, need graphic design, or would like your website designed, the Nice girls would love to talk with you. Contact Nice Branding Agency today to get started on that project you’ve needed to mark off your to-do list.